St. John’s Primary School, Wellington, Somerset. 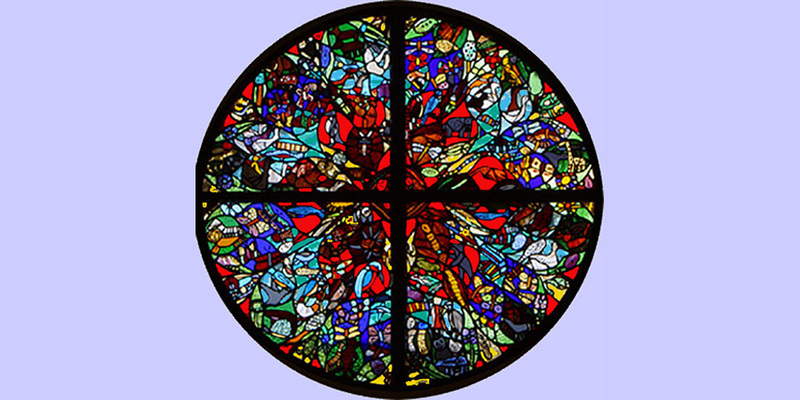 The design is based on a traditional Rose window. Everyone connected with the school – over two hundred pupils and staff – contributed a drawing related to the natural world for the final, very intricate design.